The 31 ft. 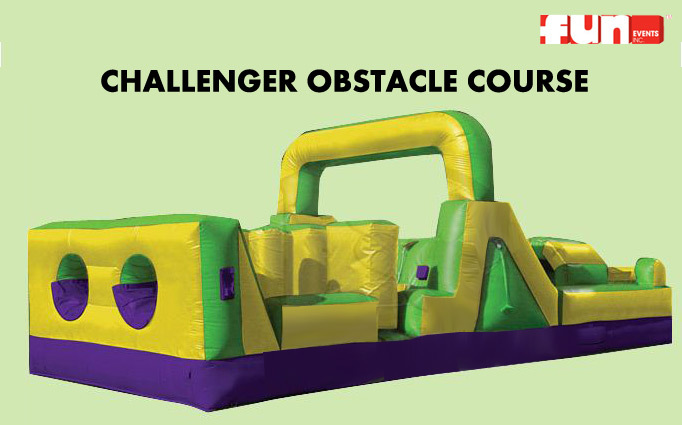 Challenger Obstacle Course is a classic inflatable Obstacle Course and is the perfect choice for a broad age range of guests. This game is packed with features like pop-ups, a squeeze wall, crawl through, jump through and an up and over a slide. Note: Photo only represents style of obstacle, not actual color.